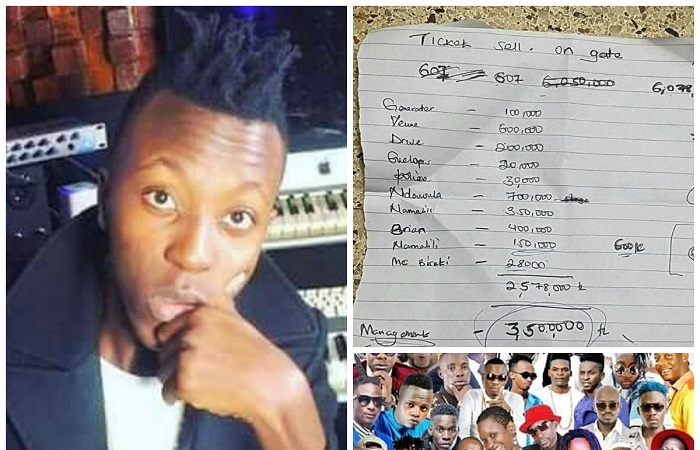 Ailing music producer, Danz Kumapeesa, could be on his way out of hospital anytime from now after singer Eddy Kenzo paid the shs 1.8million that was outstanding on his medical bill. 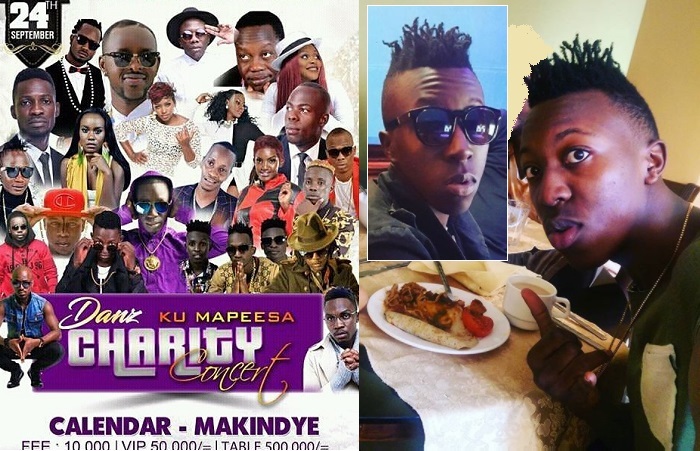 Over the weekend, a charity concert was held at Calendar in Makindye, but what left everyone in shock was how a multitude of artists could perform and only realize a mere 6million shillings. 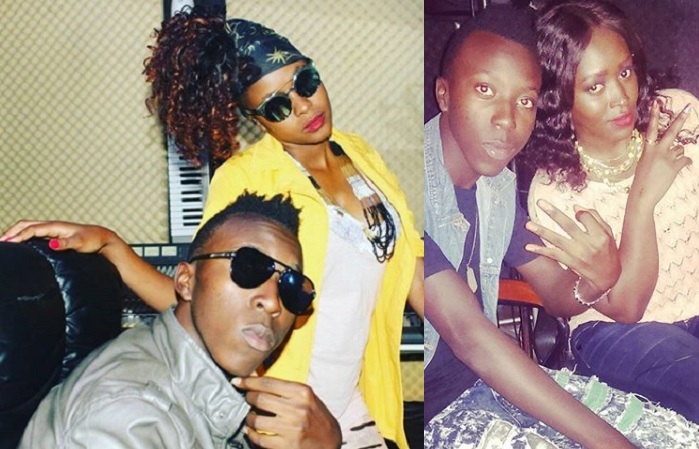 To make matters worse, Danz Kumapeesa's mom only received a million shillings after knocking off the overheads. Bebe Cool, Chameleone, Lydia Jazmine, B2C and Fille among others performed for the guests who turned up in large numbers. Proceeds from the gate collections were amounting to six million. Many wondered how a car wash could generate just the same amount like a concert. Mc Kats wondered why the organizers rejected a free venue at Laftaz to settle for this one. "Laftaz gave us a free venue, free sound, free adverts on Bukedde and you refused was this your plan," Mc Kats better known as Doro Kats asked. The organizers tried to explain about how they had different KCCA permits that they had to pay for let alone service providers, but it did not seem to add up. Lydia Jazmine wondered how those very many artists could only attract an amount that could be raised by just one artist. Chameleone used the opportunity to reach out to the organizers who had earlier skipped him in the whole arrangement saying it was not fair for him as the number one artist in East Africa. He also said that much as he had not worked with Danz Ku Mapeesa, he will go ahead and make his contribution to the producer's mom, but he will not put it on camera like the rest have done. Danz KuMapeesa's mom thanked all artists not forgetting Bebe Cool for the efforts. The JahLive music producer will continue receiving medical attention from home to a time he can fully recover.